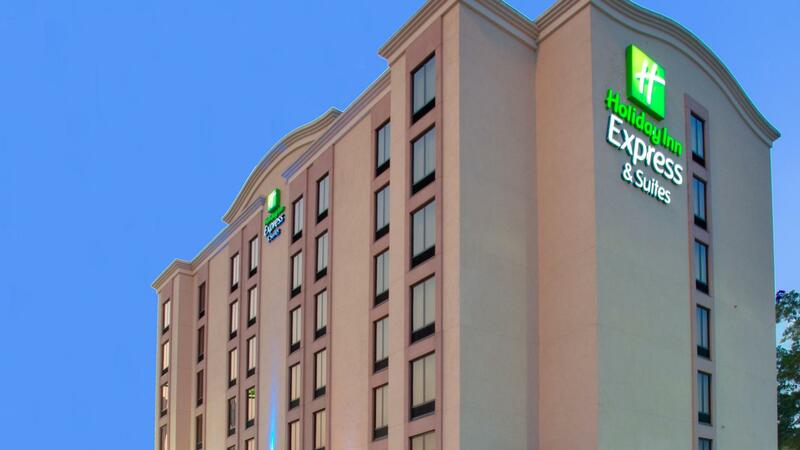 Rent Holiday Inn Houston Reliant Park Area | Corporate Events | Wedding Locations, Event Spaces and Party Venues. Our newly renovated Houston Medical Center hotel is the pride of South Houston. Located next door to NRG Stadium and NRG Park, our hotel is just off 610 loop. Just minutes from downtown, Minute Maid Park, and the George R. Brown Convention Center, we offer top convenience and comfort. The Texas Medical Center is less than two miles away and the hotel offers daily shuttle transportation to all of these medical facilities, including the acclaimed MD Anderson Cancer Center. The popular Houston Museum District is just minutes from our Houston, Texas hotel near Hermann Park including the Houston Zoo. Our hotel in Houston offers spacious Houston hotel rooms and suites with plenty of room for the whole family. Top hotel amenities in our recently renovated guest rooms include mini fridges and microwaves in all rooms and work areas with premium business features. Each of our newly renovated rooms offers complimentary wireless Internet, complimentary local and 800 calls and complimentary parking. We offer several breakfast options, including some Continental Breaks or Breakfasts, full buffet breakfasts, along with full plated breakfast options. Many options to choose from for any event, whether it be a corporate meeting, a family reunion, a birthday party, or wedding celebration. We offer many reception, buffet and plated dinner options, from Grilled Tilapia to London Broil Beef to BBQ Brisket. We offer many plated or buffet lunch option from Deli Buffets to Grilled Salmon and Prime Rib. Can logon onto and utilize computer, telephone, speakerphone, and print copies at business center. All other needs can be addressed to front desk for assistance.